Subtitute in place of the italicized word or words the corresponding idiomatic expression partially indicated in parentheses. 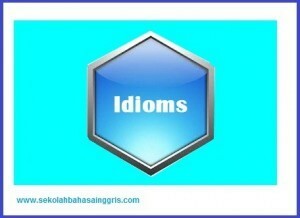 Answer these following questions, making use in your answers of the idiomatic expressions studied in this lesson. How are you getting along in you study of Math? Which student in your Class B seems to be getting along best? How is your friend getting along in her new job? Do you prefer to go to the Cinema by yourself or with your girlfriend? Does your friend live by herself or with someone? Did you come to Indonesia by yourself or with your family? Do you like talk over your personal problems with someone or do you prefer to decide these things by yourself? Is it easy or difficult for you to pick out gifts for your friends? Does someone help you to pick out your shirt or do you like to pick them out by yourself? What did you do all day long last night? When the music is played, what should you do: stand up or sit down? Do you take your time when you are writing an examination or do you prefer to finish quickly? What did Mr. Norman just take out of the drawer of his desk? During the lesson of Math do you prefer to sit in front of the room or in the back- or doesn’t it make any difference? Why must Doni lie down for several hours each afternoon?